Iris Quilt Cover Set in Indigo. 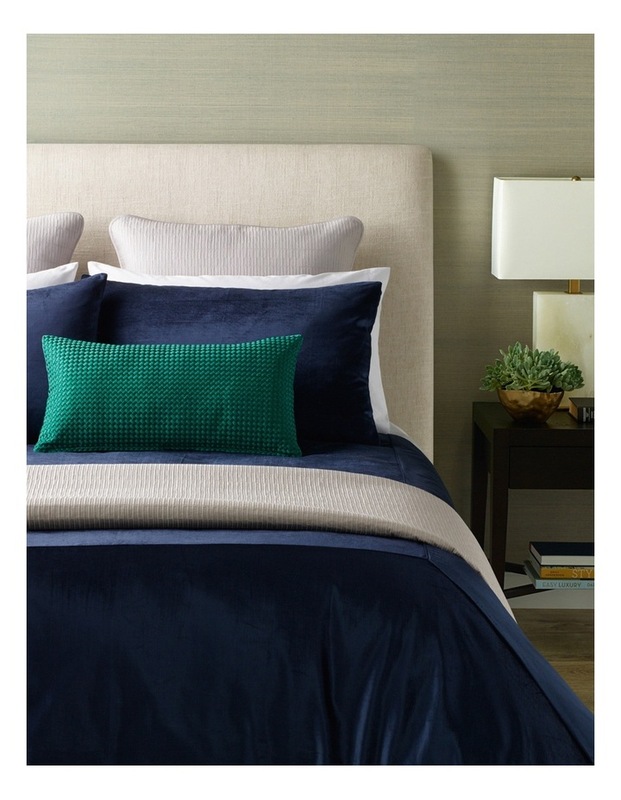 Front: 55% cotton 45% viscose 320gsm reverse: 100% cotton 500t sateen percale plain dyed, darren palmer is exclusive to Myer. Set includes: 1 quilt cover & 2 standard pillowcases (1 pillowcase with single).